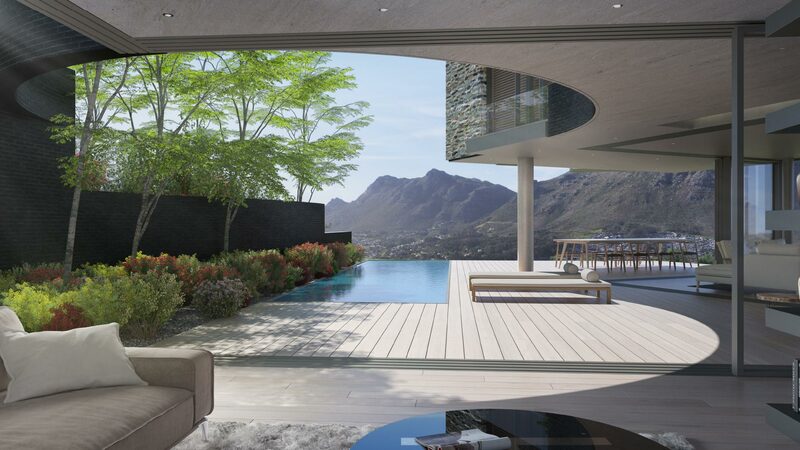 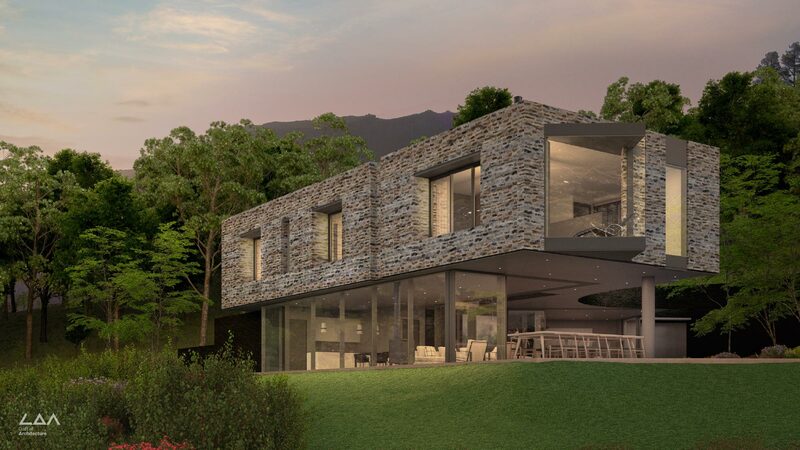 Kerzner Leeukoppie Estate House 19 is a new single residential development which is orientated around outdoor living and situated in Hout Bay, Cape Town. 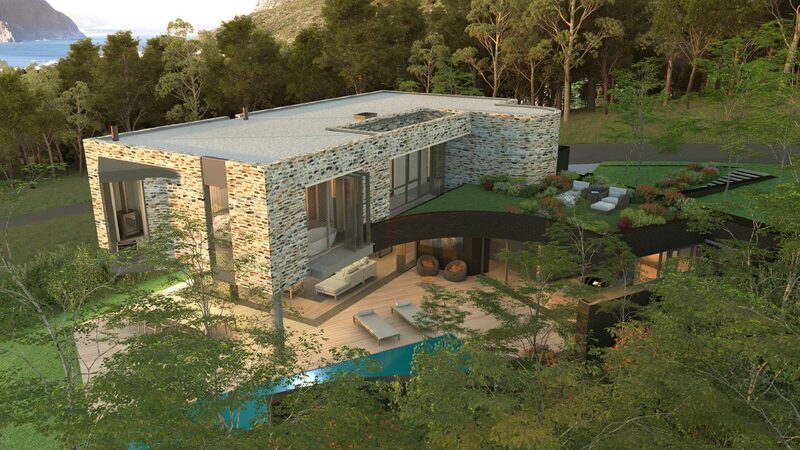 The plays with the natural materials, emphasizing the contrast between the natural stonework and the high tech steel, glass and concrete. 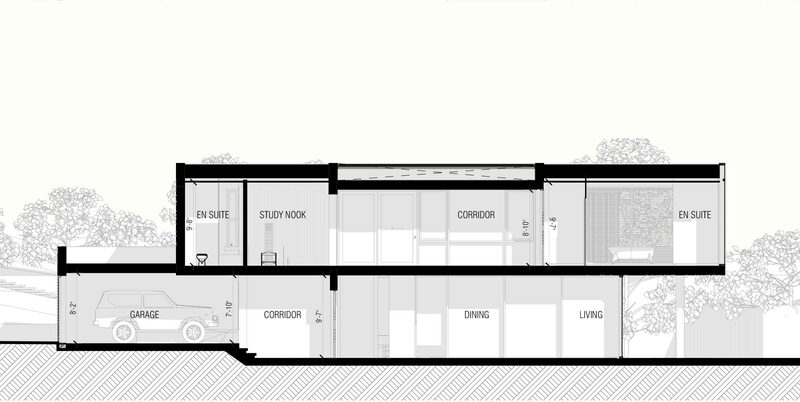 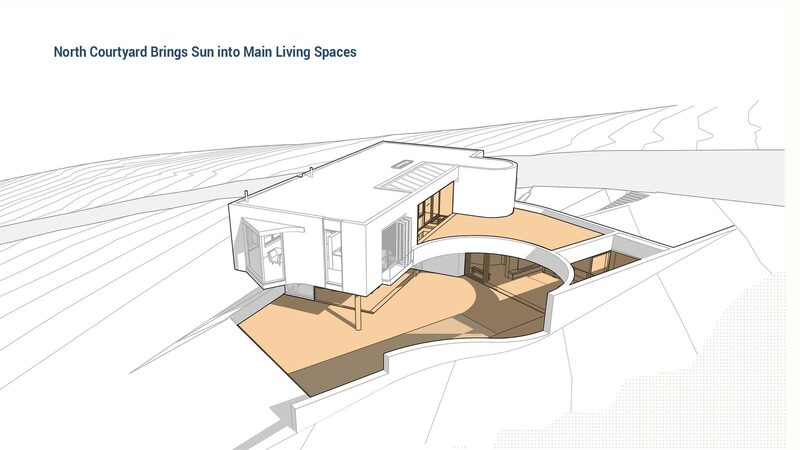 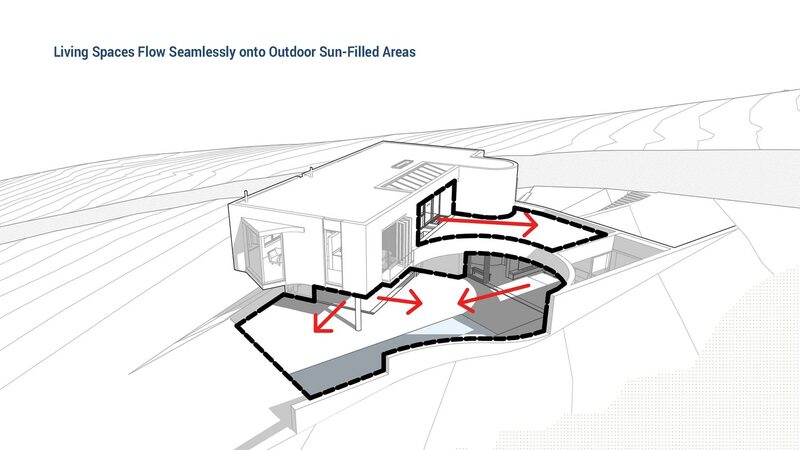 The design is developed from passive design principles, creating optimal thermal comfort for the users, including addressing the prevailing weather conditions and in particular enabling residents to escape the summer winds when using the outdoors spaces. 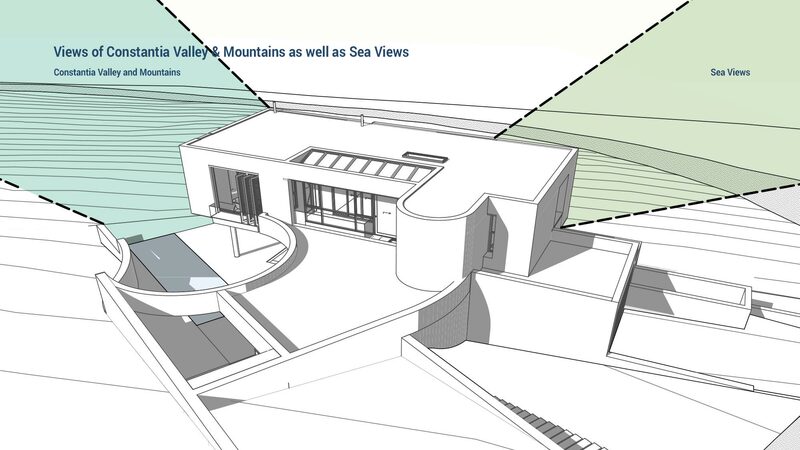 This focus on dual experiences, both maximizing sun and heat gain in winter, but protecting from direct heat gain in summer, combined with maximizing views to the sea and surrounding mountain ranges, creates a home that is orientated around outdoor living. 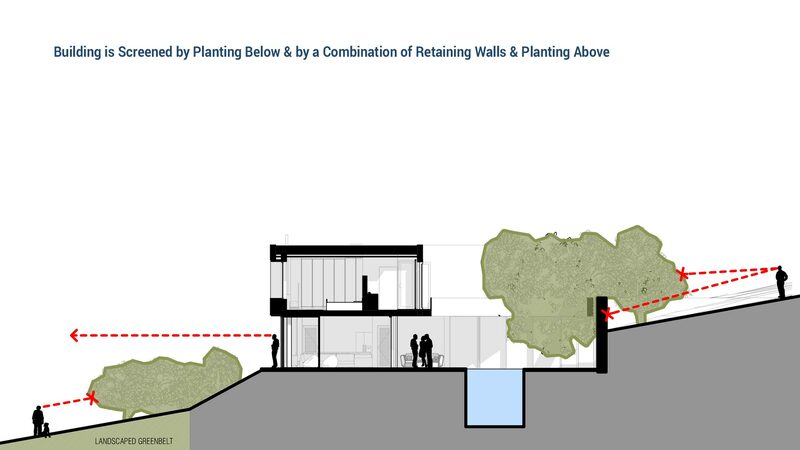 Privacy was a key driver in the design with the secluded sun filled courtyard created through a series of stone retaining walls. 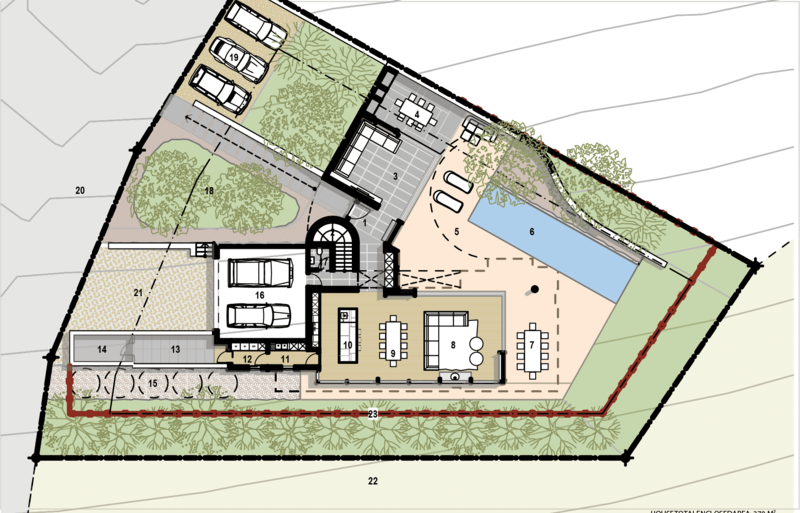 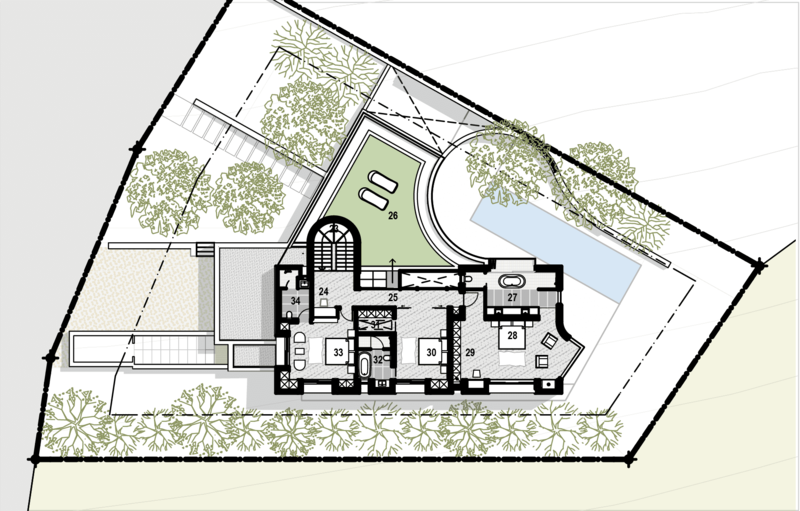 This curved private courtyard, with it’s natural planted roof, creates protected outdoor living areas. 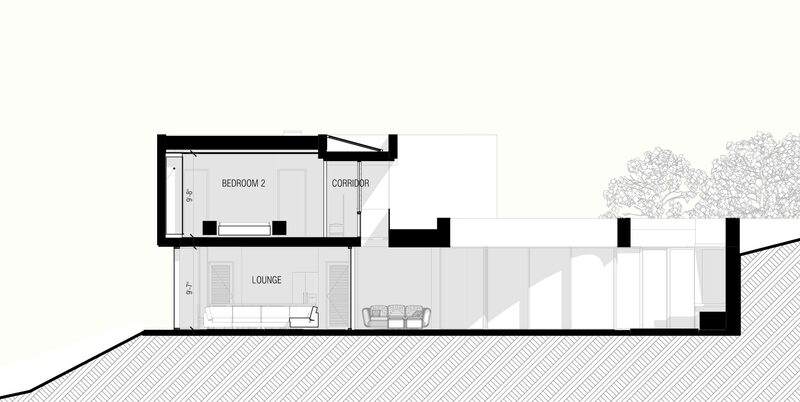 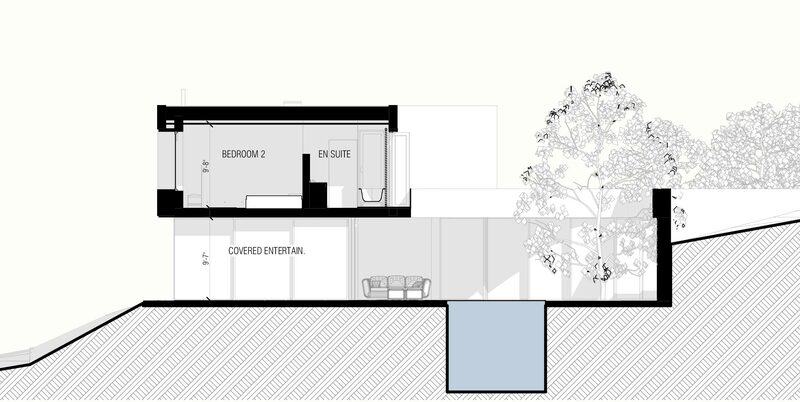 With the bedrooms perched above the living areas, their dual north and south experience creates exceptional spaces.